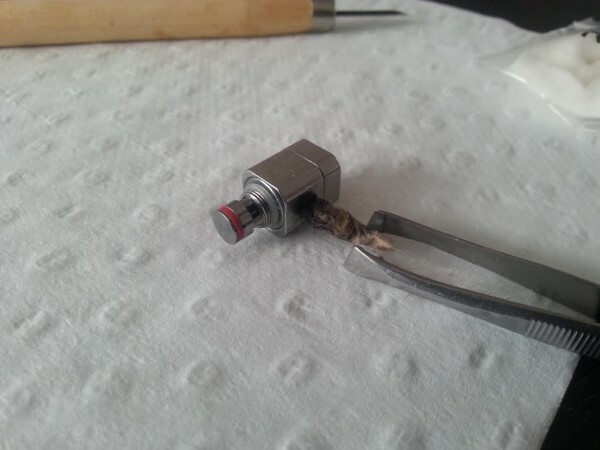 Changing cotton on my KangerTech coil today, A good way to prolong the life-length of your coils and make cheaper vaping is to change the cotton instead of just buying a new coil when it tastes burnt out. It might take you a few tries before you learn to use the right amount of cotton. To little your tank floods over, and if you use to much you get to little e-liquid thru and you get a dry disgusting vape-experience that you do not want, its only your wallet you want to give a cheaper vaping. I watched this video before I changed cotton my self for the first time.